Ladera Ranch Real Estate and Homes For Sale Ladera Ranch Realtors Brian Doubleday and Dave Gubler welcome you to our Ladera Ranch real estate website. 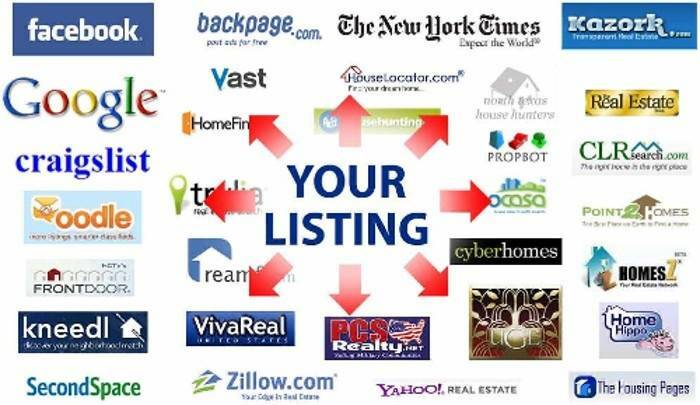 Here you will find MLS listings, homes, real estate and community information that is specific to our community. Ladera Ranch is a 4,000 acre master-planned community adjacent to Mission Viejo, Rancho Santa Margarita, and San Juan Capistrano. Homes range in size from 1 bed/1.5 bath condos in the Sansovino tract to over 8,000 square foot custom estates in the gated village of Covenant Hills and sale prices range from $200,000 to over $3,300,000. Located along Antonio Parkway and Crown Valley Parkway, construction of the community began in 1999. Ladera Ranch is divided in to 8 villages; each with it's own distinct style and features. 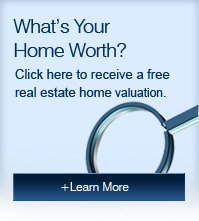 Selling Your Ladera Ranch Home? Thinking about selling your Ladera Ranch home? Sell your home faster and for more money with our Premier Marketing & Sales Program. Get it done right the first time. We provide the most innovative, customer friendly and effective home selling program available. Learn more about selling your home. Looking To Buy In Ladera Ranch? Home search sites and real estate websites are a dime a dozen these days but quality representation familiar with the community you are looking in is harder to find. Whether your are a first time buyer or moving up to your next home in Ladera Ranch we will provide you with our unique combination of service, experience, technology and negotiating prowess. Learn more about the community and buying a home or find homes for sale in Ladera Ranch. Ladera Ranch Short Sale Solutions. Avoid Foreclosure and it's consequences. Our short sale team has the experience, contacts, and tenacity you need to be successful. We aggressively protect your interests while obtaining a fair resolution from your lender(s). IML Real Estate... Complete short sale solutions. Learn more about short sales in Ladera Ranch. More About Ladera Ranch, CA: Homebuilders produced areas designated as neighborhoods within each village. There are ten or more neighborhoods per village and a total of eight villages in Ladera Ranch including the exclusive gated area of Covenant Hills. Five of the eight villages have clubhouses themed on a particular architectural style that is emphasized within that village. There are also parks, pools, playgrounds and designated open areas within each village. The Covenant Hills village is a gated community within Ladera Ranch that is closed to the general public but accessible to all card-carrying residents of Ladera Ranch. In addition to the various clubhouses, the community has key-accessed private water park and skate park, 18 community parks, a dog park, six "plunges" (small neighborhood pools not associated with a clubhouse) and miles of hiking trails that arrive at Doheny Beach from the main trailhead at the prestigious Vista Toscana in Covenant Hills. Surrounded by beautiful ridgelines, living in Ladera ranch is like being on a perpetual family vacation. This tight-knit community is amenity-rich and is woven together with numerous parks and trails. In this scenic location, you can always find residents out and about enjoying the day in their lovely surroundings. Ladera Ranch real estate and homes for sale consist of single family homes, condominiums, townhomes, apartments and retirement facilities. In addition, there is one very impressive gated community in Ladera Ranch called the Covenant Hills village. This exclusive community is closed to the general public, but the first-rate facilities are accessible to all card-carrying residents of Ladera Ranch. Covenant Hills homes have been ranked at the very top of the list of highest-income locations in the United States. Officially, Ladera Ranch is an unincorporated planned community. It is found in the southern section of Orange County, near the cities of San Juan Capistrano, Rancho Santa Margarita, and Mission Viejo. A well-planned community, Ladera Ranch has introduced a number of special features that set it apart from most others. In Ladera Ranch, for example, the planners thought well ahead and implemented effective speed-reducing measures on a large number of roads used in the area. Residents will find that roundabouts are commonplace at many smaller or less-utilized intersections. In addition, the street widths of Ladera Ranch’s smaller residential roads are uniformly narrow. In addition, aesthetics have not gone unnoticed. Beautifully landscaped street medians are also very common in Ladera Ranch. All information is deemed reliable but not guaranteed for real estate in Mission Viejo, Ladera Ranch, Rancho Santa Margarita, Laguna Hills, Laguna Niguel, Laguna Beach, Foothill Ranch, Portola Hills, Lake Forest, Coto De Caza, Las Flores, Wagon Wheel, San Juan Capistrano, San Clemente and Dana Point. Data may be obtained from the MLS real estate searches for condominiums, townhomes, single family residences, commercial properties, and investment properties for Mission Viejo, Ladera Ranch, Rancho Santa Margarita, Laguna Hills, Laguna Niguel, Laguna Beach, Foothill Ranch, Portola Hills, Lake Forest, Coto De Caza, Las Flores, Wagon Wheel, San Juan Capistrano, San Clemente and Dana Point. Dave Gubler and Brian Doubleday specialize in real estate transactions for buyers and sellers in Mission Viejo, Ladera Ranch, Rancho Santa Margarita, Laguna Hills, Laguna Niguel, Laguna Beach, Foothill Ranch, Portola Hills, Lake Forest, Coto De Caza, Las Flores, Wagon Wheel, San Juan Capistrano, San Clemente and Dana Point. Office is located in Ladera Ranch, within walking distance to the Flintridge Clubhouse, Founders Park, and Ladera Ranch Elementary & Middle Schools.